SAN FRANCISCO CA, November 10, 2007  Despite the oil spill, there are some good things happening on San Francisco Bay. On Friday, November 16, the Sports for the Worlds Children Foundation (SWC) and Hornblower Cruises will embark on a 6-day ocean journey on the M/V Freedom to deliver hundreds of pounds of donated sports equipment to children in need in Mexico. 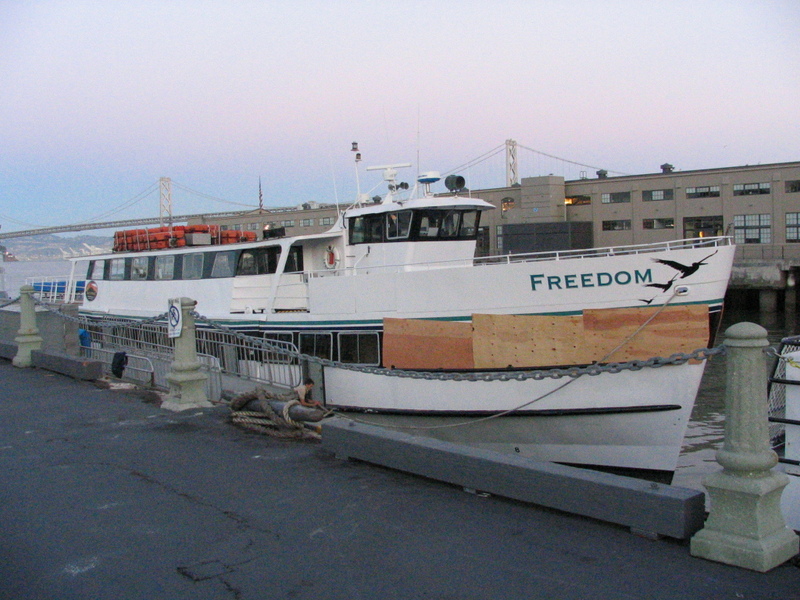 The sports equipment will be transported from SWC’s storage facility in a Hornblower box truck on Tuesday and loaded aboard Freedom at Pier 3 on Tuesday, November 13, at 3-3:30pm. Youth donors from the Embarcadero branch of the YMCA of San Francisco will also be on hand to deliver and load up the sports equipment that they collected through their after school program. Then, Friday morning, the Freedom will let go all lines and get underway. Approximately six days later, the Freedom will make landfall in Cabo San Lucas for its first major refueling. The sports equipment will be dropped off and stored there until SWC volunteers from around the country arrive to help distribute it during SWC’s annual “Communities Play” sports distribution and volunteer program (slated for early April of 2008). Not only will the volunteers participate in the distribution of the sports equipment to communities, schools, and sports and cultural clubs in need, they will also conduct mentoring programs that include sports skills clinics, instruction, and training. Since its inception in 1997, SWC has collected and delivered nearly 26 tons of sports equipment to more than 13,800 children in Mexico, Nicaragua, and the United States. Plans are currently in the works to benefit countries in Africa as well. SWC’s “Communities Play” Program has received past support from Alaska Airlines, Major League Baseball and the Major League Baseball Players Association’s Baseball Tomorrow Fund, and the Kristi Yamaguchi Always Dream Foundation. Kim Ina, Founder and Executive Director of SWC, has worked part time for Hornblower Cruises for six years to supplement her nonprofit income. The collaboration came about when Ed Jerbic, a captain at Hornblower Cruises and supporter of SWC, was recently commissioned to captain Freedom on its journey from San Francisco to New York, and realized that there would be plenty of space on the vessel to help deliver SWC’s sports equipment right to where it’s needed. Ina will make the journey on Freedom, and disembark in Cabo San Lucas with the equipment. The YMCA of San Francisco has headed up many sports equipment collections to benefit SWC, and the youth from the after school program at the Embarcadero branch quickly mobilized their resources to make an additional donation of sports equipment for this transport. 85-90% of the youth enrolled in the tuition-free year round academic enrichment program at the Embarcadero YMCA are from families that live at or below the San Francisco poverty level. A partial listing of donors of other sports equipment that will be taken down on Freedom includes the Head-Royce School in Oakland, the Brisbane Parks & Recreation Department, San Ramon Sports, and the Japanese Cultural and Community Center of Northern California.